Applications: Recommended for potable water, steam, LP and natural gas, refrigerants, solvents, caustics, dilute acids, oils, diesel fuel and ethanol. Use on all pipe threads made of cast iron, malleable, brass, copper, and stainless steel. 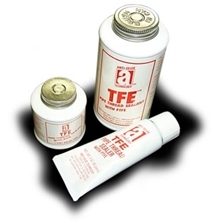 Designed for use by all pipe fitters, fabricators, plumbers, and mechanical contractors. Please call 1-800-991-1106 for 55gal Drum price.